I Force Swolemate 30 Servings, BOGO Available!! iForce Nutrition Potassium Nitrate 120ct, BOGO Available!! Iforce Nutrition Testabolan 120ct, Over Stock Sale!! 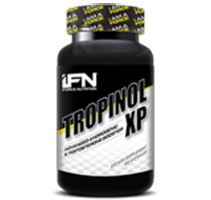 iforce Nutrition Tropinol XP 100ct, Hot deal when you buy 2 or more! !